Here’s one for the kiddies! The children’s version of our pretty chocolate necklace. 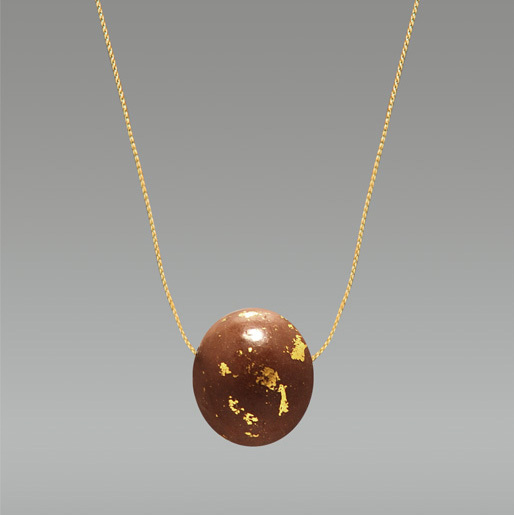 A real chocolate malted milk ball with edible gold leaf on a pretty golden cord. It smells terrific, doesn’t melt on your skin as tested in the Miami heat, and will make your child (or you) the life of any party! Order them in bunches for party favors! Everyone loves them. Please don’t eat the cord, it’s the only non-edible part!